Comm Eye Health Vol. 24 No. 75 2011 pp 20. Published online 31 October 2011. 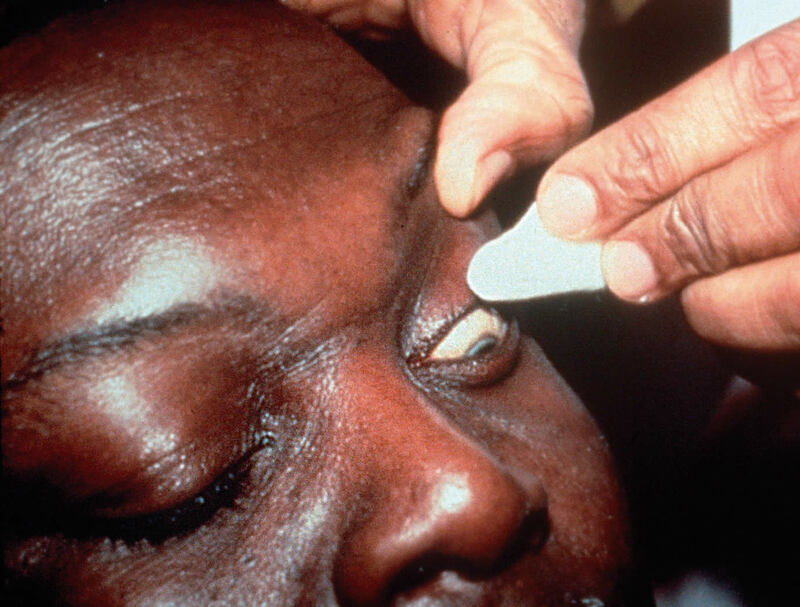 Basic eye hygiene: to remove any discharge before instillation of eye drops or applying eye ointment, or before applying post-operative eye dressings. 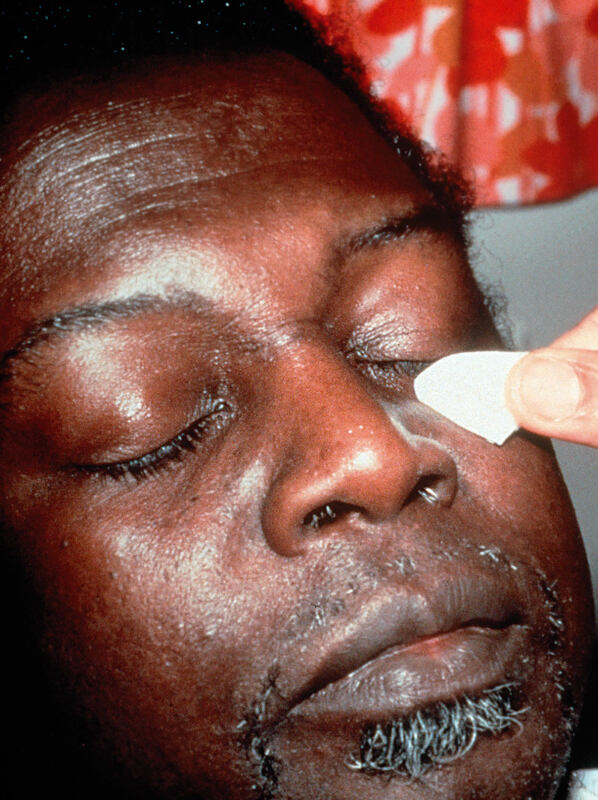 Blepharitis: to remove crusting on the eyelid margins. 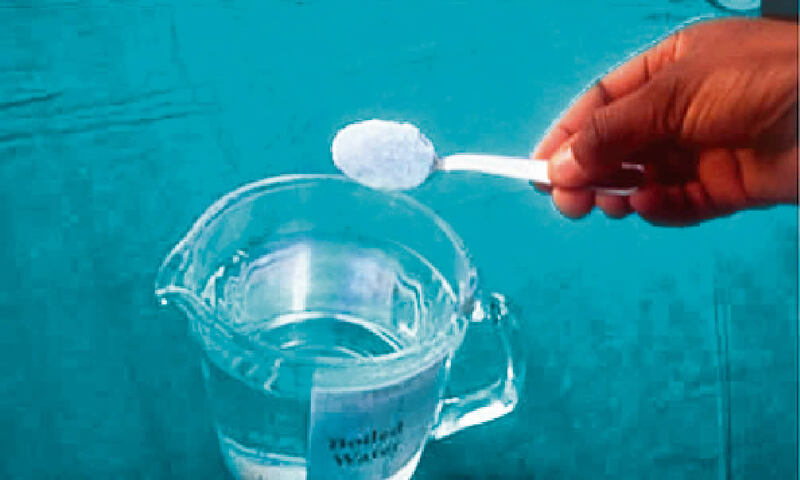 Dissolve 1 heaped teaspoonful of salt or sodium bicarbonate in a jug containing 500 ml of boiled water (half a litre); allow this solution to cool (Figure 1). 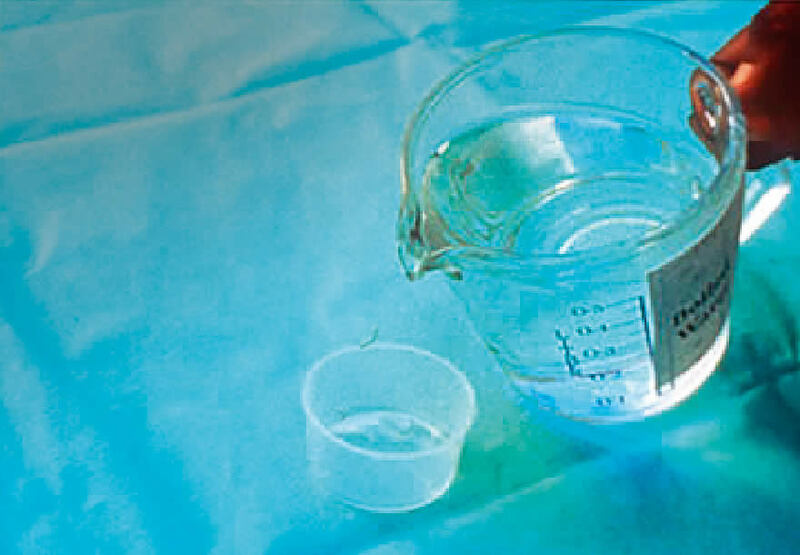 Pour a very small amount of the solution into a small sterile pot on a clean surface (Figure 2). Take a folded gauze swab or cotton bud. Moisten the swab or bud with the prepared solution (Figures 3 and 4). With the swab or bud, clean gently along the eyelashes in one movement, from inner to outer canthus (Figures 5 and 6). Discard the swab or bud after use. 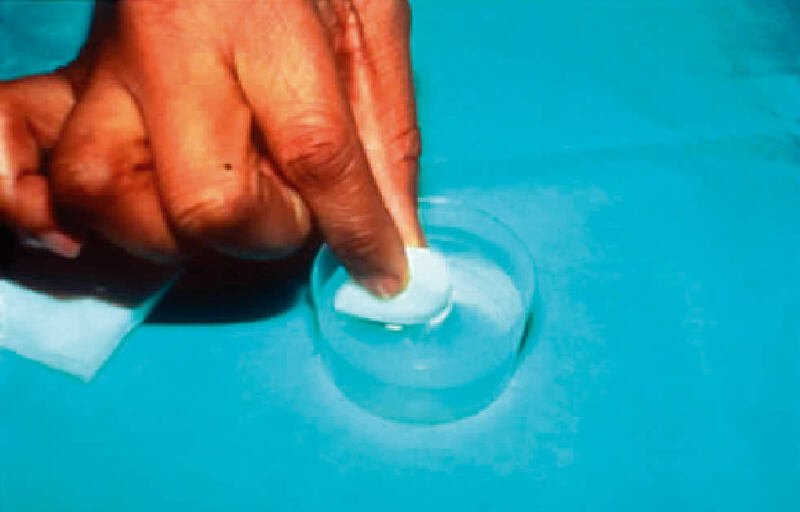 With one hand, take a new swab or bud and moisten it in the solution. 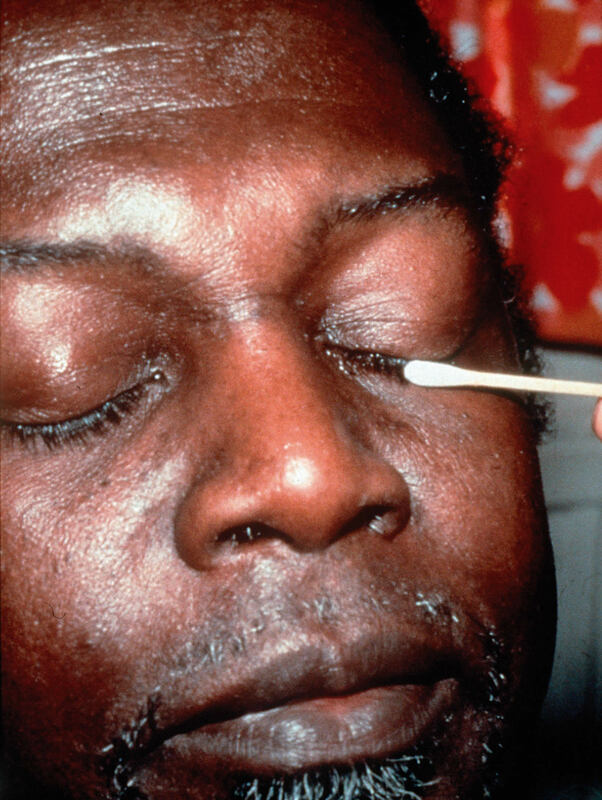 With the swab or bud, clean gently along the lower eyelid margin in one movement from inner to outer canthus (Figures 7 and 8). 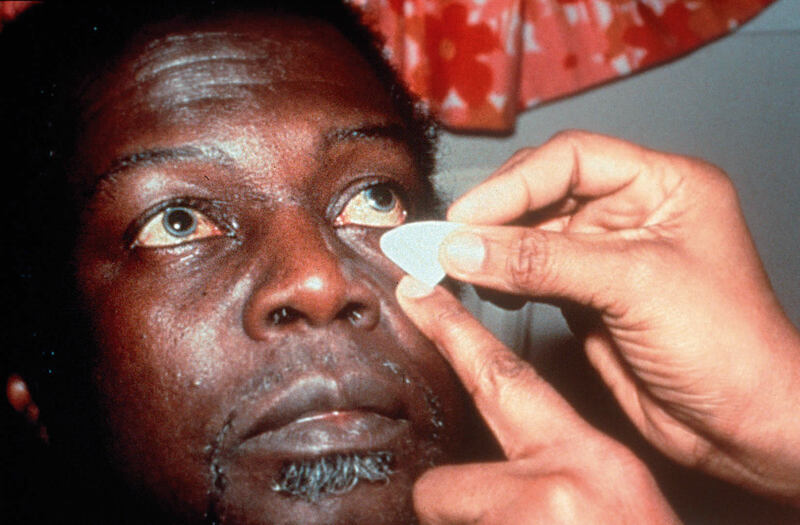 Note: extra care is needed when cleaning the upper eyelid margin. 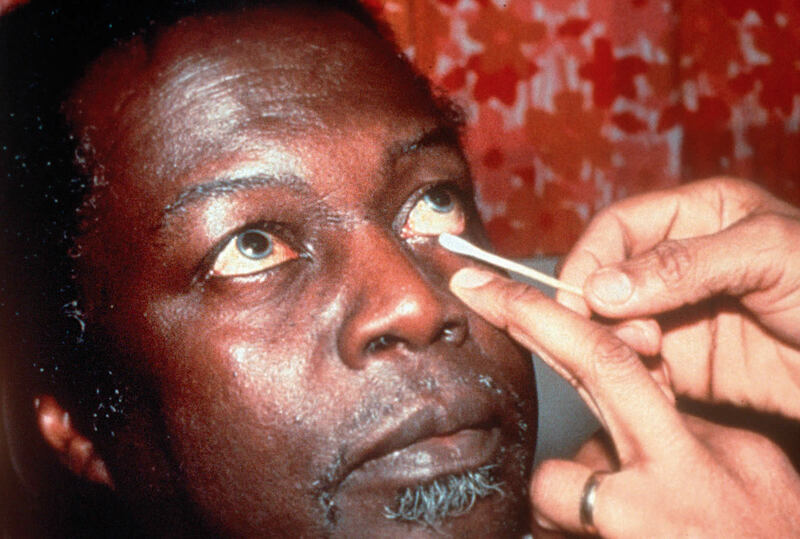 Try to keep the cornea in view throughout and avoid touching it with the swab or bud. With a thumb or finger of the other hand, gently ease the upper eyelid up against the orbital rim (just below the eyebrow), taking care not to put any pressure on the eyeball. 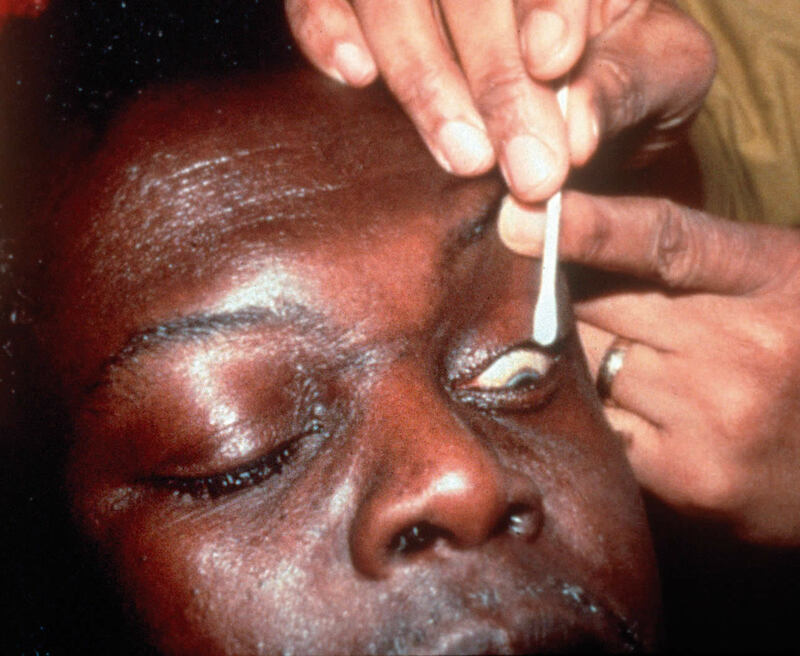 With the swab or bud, clean gently along the upper eyelid margin in one movement from inner to outer canthus (Figures 9 and 10). If the eyelids are very sticky or encrusted, it will be necessary to repeat any part of the above procedure until all debris or discharge is removed.